'A laugh-out-loud read full of capes and japes! If you like Superheroes this is right down your Street!' - Danny Wallace, presenter and bestselling author. 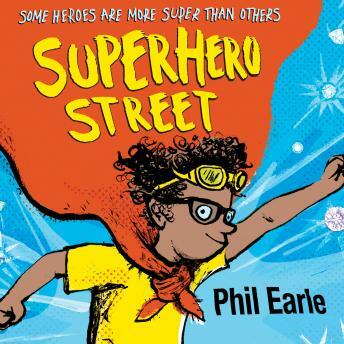 Illustrated by Waterstones Children's Book Prize shortlisted artist, Sara Ogilvie, this is the second book in Demolition Dad author Phil Earle's children's series, Storey Street. Perfect for fans of Roald Dahl, Liz Pichon and David Walliams, each book in this laugh-out-loud series focuses on a different neighbour. Mouse is desperate to be a superhero. To find that power that will make him stand out in the crowd. But his every attempt ends in failure. He can't even get any attention at home as his five brothers (triplets AND twins) take every second of mum and dad's attention. When mum foils a bank robbery while on duty as a lollipop lady, she and Mouse are lauded as superheroes. Joining forces with Mouse are The Z List - a group of unlikely crime-fighters. But in their midst is a traitor hell-bent on revenge. Will Mouse be super enough to spot this danger, and is he brave enough to do anything about it?